Barbara McQuade, a regular on MSNBC. 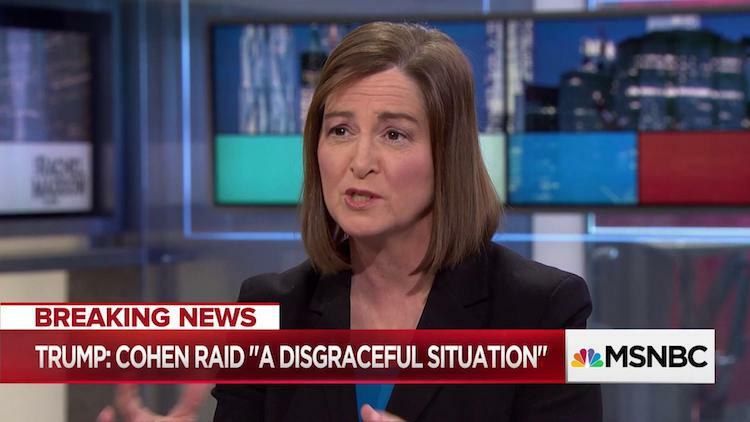 These days you can find former Detroit U.S. Attorney Barbara McQuade commenting on the latest news on MSNBC or teaching law in Ann Arbor at the University of Michigan, her alma mater ('87 and '91). Appointed by President Barack Obama, she served as U.S. Attorney in Detroit from 2010-17, when she was among 46 U.S. Attorneys asked to step down so President Trump could install his picks. During her tenure she oversaw a number of key investigations, including the public corruption probe of Detroit Mayor Kwame Kilpatrick. We asked McQuade to respond in writing to some questions. Deadline Detroit: Have you enjoyed being a commentator on MSNBC? McQuade: Yes, I am grateful for the opportunity to help explain the law so that people can draw their own conclusions about events in the news. We live in confusing times, and I hope to provide information to help people try to understand it. DD: How does that work? Are you expected to appear so many times a month? McQuade: I receive invitations for interviews from producers at NBC News and MSNBC, and am free to accept or decline. I accept when time permits and I think that I have some insights to add to the conversation on a particular topic. The campus studio is a five-minute walk from my office at the law school, so it's convenient to get there. I know the topic in advance, but not the questions. DD: We’ve seen the president fire two attorneys general. Do you worry about the integrity of the Justice Department? McQuade: Yes, the Department of Justice’s integrity is being tested, and I am hopeful that its leaders will uphold its high standards. I worry that President Trump’s disparaging rhetoric about the Attorney General, the Department of Justice and the FBI will have a negative effect on the public perception of federal law enforcement. That negative impression will make it more difficult for jurors to believe agents when they testify in court or for citizens to open the door when agents come knocking in search of a kidnap victim. DD: You wanted to stay on as U.S. Attorney in Detroit but you were forced out like dozens of other Obama appointees? In retrospect, are you glad you’re not there? McQuade: I loved every minute that I worked at the U.S. Attorney’s Office in Detroit, 19 years in total. No work is more satisfying than helping to improve the quality of life for people in your community. I am very happy to be where I am now, teaching at the University of Michigan Law School, where I believe that I can make a positive impact on students who are just starting out in their legal careers. Barbara McQuade: "The Department of Justice's integrity is being tested." DD: There’s been controversy over Attorney General William Barr’s summary of the Mueller report. What’s your thoughts on that? Expectations of report? McQuade: I will withhold judgment until we see the full report, but I am curious about Barr’s handling of the obstruction question. When Mueller declined to reach a conclusion as to whether President Trump obstructed justice, Barr decided the issue for him. This seems to defeat the whole purpose of appointing a special counsel to insulate the decision-maker from the apparent conflict of interest that is created from being in the chain of command of the executive branch. Barr’s decision begs the question whether Mueller intended to leave it to Barr or whether Mueller believed that because a sitting president cannot be indicted, he intended to leave the question to Congress for impeachment consideration. DD: What’s your thoughts about indicting a sitting president? McQuade: It is an unresolved question that can be answered only by indicting a sitting president and litigating the issue in court, which our country is and should be reluctant to do in all but the most egregious cases. DOJ is unlikely to violate its own policy, so it is likely a moot question unless a state decides to charge a president. I think that for a crime that is what is considered “malum in se,” or wrong in itself, like murder, indictment is more likely legally permissible than for a crime that is “malum prohibitum,” which means that it is illegal only because lawmakers have said so, such as campaign finance violations. DD: Are you enjoying teaching law at U of M? 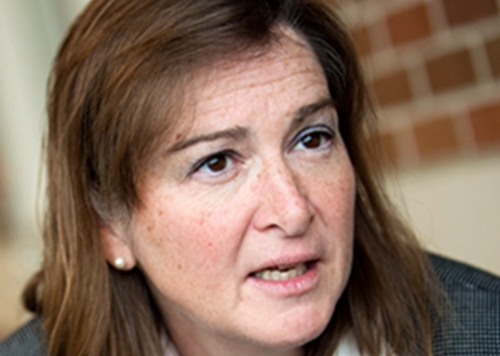 McQuade: I enjoy teaching at Michigan Law School very much. The faculty are brilliant and supportive, and the students are bright and eager. I enjoy sharing practical experience, legal strategy and career advice with students. DD: Do students ever ask about your appearances on MSNBC? Any of them every disagree with your commentary? McQuade: I try to relate our class lessons to real world examples. When we are learning about grand jury practice, for example, it is useful to point to examples in the news to provide context. DD: You see any difference with law students today compared to when you were in law school at U of M? McQuade: Today’s law students are on average older than we were in my day, and as a result, they bring real world experience to the classroom. About 75 percent of our students have a spent a few years out working before coming to law school. We have students who have worked as engineers, paralegals, teachers, Peace Corp. volunteers and many other jobs. These experiences add to the richness of our class discussions. DD: Have you thought about what’s next? Run for office? McQuade: As long as I am making a positive impact, I will find my work fulfilling. Although I find public service to be very gratifying work, running for elected office brings with it personal and family sacrifices that I am not prepared to make. There are many ways to serve without being an elected public official, including teaching.